Norway maintained its track record of never invoking its right to veto EU initiatives when a large majority in Parliament voted on Thursday to join the EU’s controversial energy union. The vote came after a long and hard debate that split both the opposition and the Labour Party, which sided with the Conservatives-led government coalition. That gave the government a 75.2 percent majority in favour of its proposal to become part of the EU’s Agency for the Cooperation of Energy Regulators (ACER). It was founded in 2009 to promote an integrated energy market in the EU, and Norway’s Greens Party (MDG) also voted in favour of joining, because of how ACER aims to promote and ease a transition from coal to renewable energy sources in Europe. Opposition was fierce, however, with the Center, Socialist Left, Christian Democrats and Reds parties arguing against joining ACER. 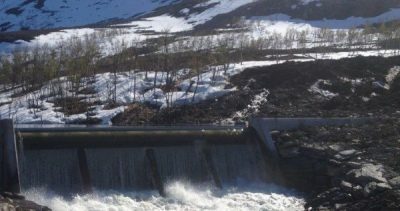 They all fear a loss of sovereignty over Norway’s vast supplies of hydro-electric power that have made electricity one of the few things in Norway that’s cheaper than in other countries. Norway’s relatively low electricity rates also help offset the high taxes and costs that otherwise can put Norwegian industry at a competitive disadvantage. Now the Center Party and other opponents fear electricity rates in Norway will rise, as ACER seeks to even out energy price disparities among European countries. They also fear Norway will lose control of its electricity production and that jobs will be threatened in Norwegian industry. Wiedswang suggested that Norway won’t use its veto right for fear of how the EU would react. Defying the EU could jeopardize Norway’s important trade pact with the EU through the EØS agreement. For all their other differences, Norway’s dominant Conservative and Labour parties both view it as simply too politically risky to challenge the EU. So does the Progress Party, which loves going its own way but stuck with the majority on this issue. “There’s so substance to the claims that we’ll have to give away Norwegian energy resources or control, or that electricity rates will rise after joining ACER,” claimed Progress’ Oil and Energy Minister Terje Søviknes during parliamentary debate on Thursday afternoon. The opposition parties that found themselves in the minority on Thursday tried to push through a delay on the vote, not least after Norway’s fellow EEA member Iceland threatened to use its veto, which could sabotage the deal for Norway and the third EEA member, Liechtenstein, as well. The Reds also proposed a public referendum on the issue, after a public opinion poll indicated less than 10 percent of Norwegian favoured joining ACER. Labour leaders ended up imploring their own split party to simply believe them that electricity rates won’t rise because of joining ACER, that sovereignty over Norway’s waterfalls and power generation won’t be lost and that the state’s ongoing ownership of cables abroad will keep Norway in control of its resources. In doing so Labour leaders defied a grassroots movement against the energy union that was supported by more than 100 Labour mayors around the country. It’s been a difficult issue for Labour, coming at a time when the party has had to battle many other crises in recent months after losing the last election. The Conservatives and Progress were never in doubt. “Norwegian authorities will still have full control over Norwegian energy resources,” Oil & Energy Minister Søviknes claimed.